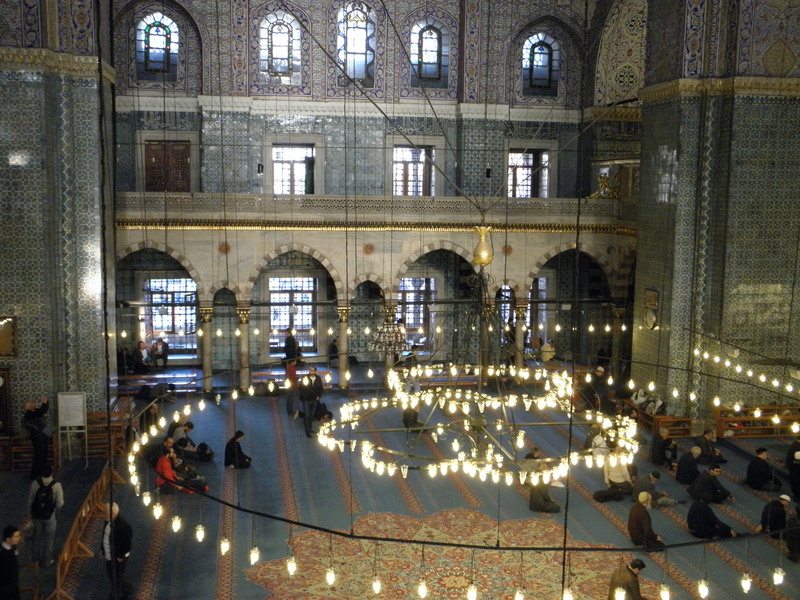 I could go on and on about each of the masajid (plural of masjid=mosque) we visited, but no doubt you will find better and more ample descriptions of these online in other places. So I will post some pictures for you below. Please read the captions for more information. 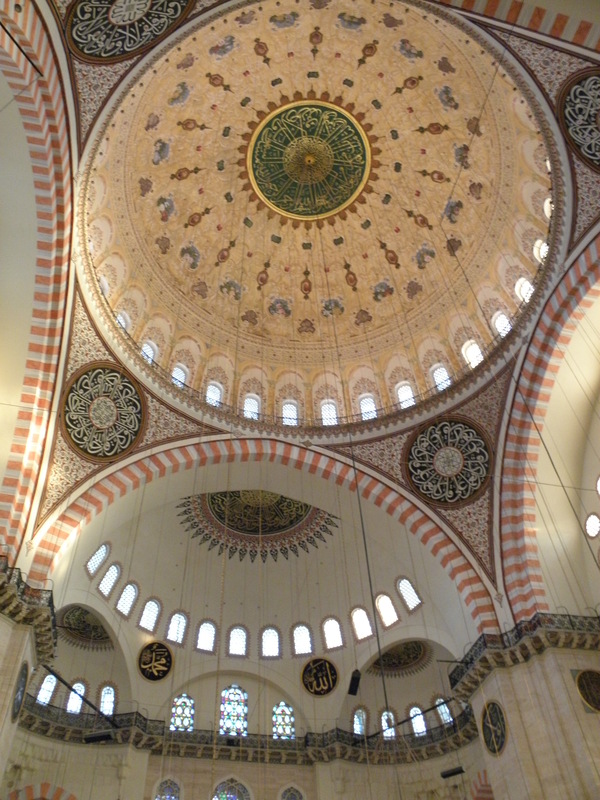 Built for Sulaiman the Magnificent by the great Mimar Sinan (see my post on Ederne for his masterpiece). Every Ottoman Sultan was expected to have a trade, and Sulaiman was a gifted jeweller – hence the jewel-theme artwork. The walls also had many marble elements inspired by fine jewel settings. 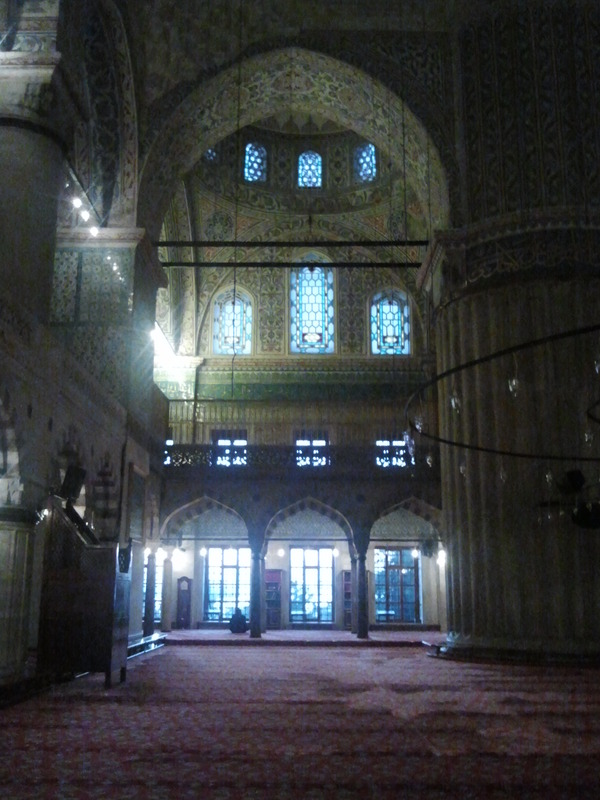 I think this is the Yeni (=new, its 400+ yrs old!) 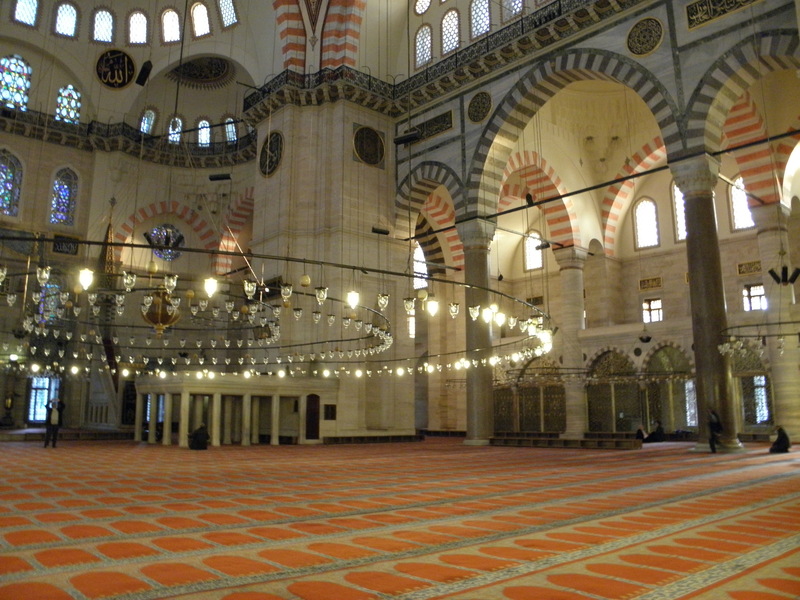 camii. 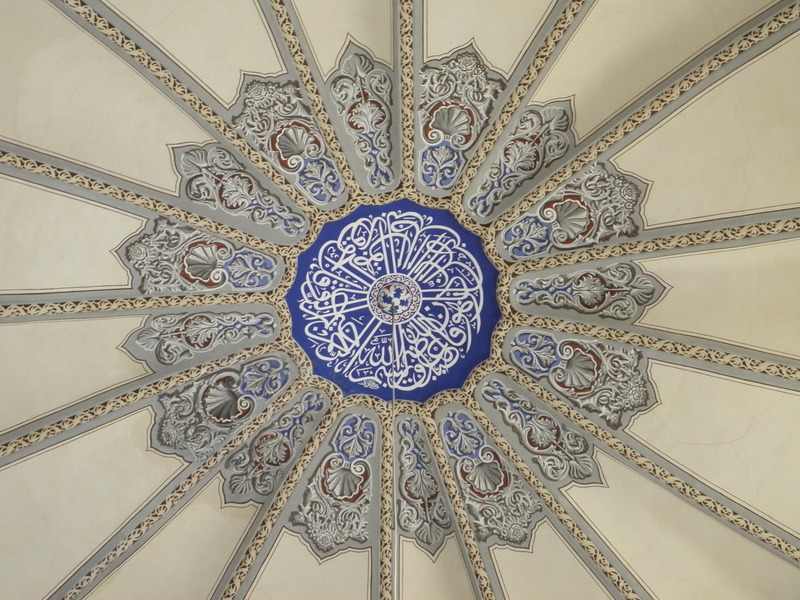 Built by one of the mother of one of the Sultans. 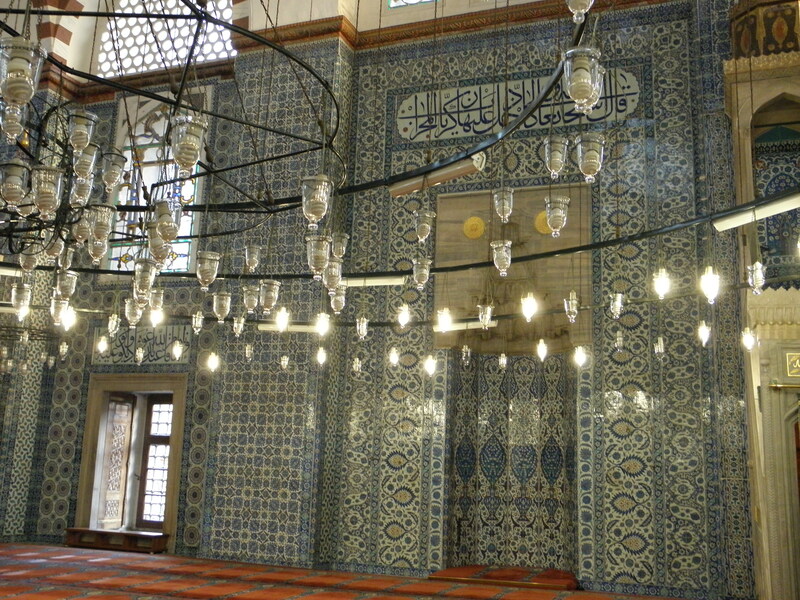 Amazing iznik tile work. 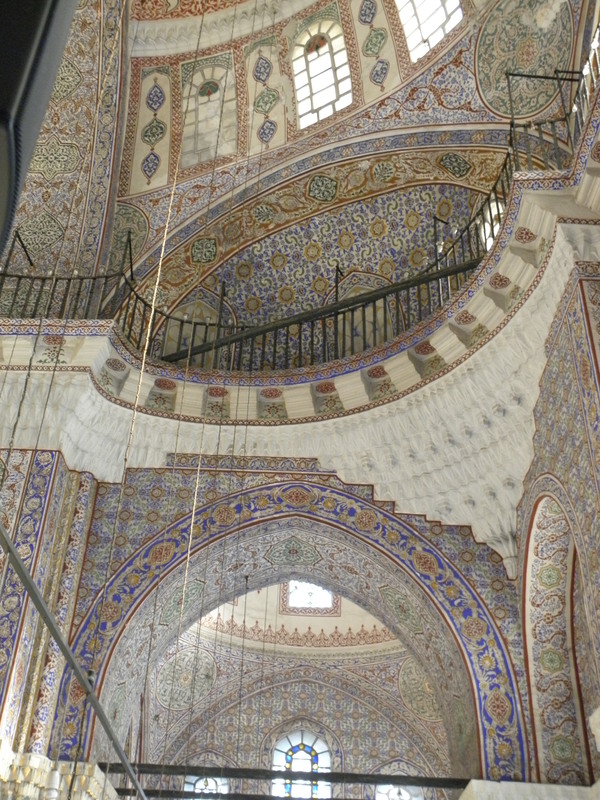 The Rustom Pasha camii – a little know camii tucked away on the top story above the busy shops of the spice bazar. Absolutely stunning, I have many photographs of the tile designs unfortunately I can’t post here. Each tile hand painted and each will have a small defect that allows the artist to recognize it as their work. And also according to the Muslim ethos in art, that perfection belongs to God alone. 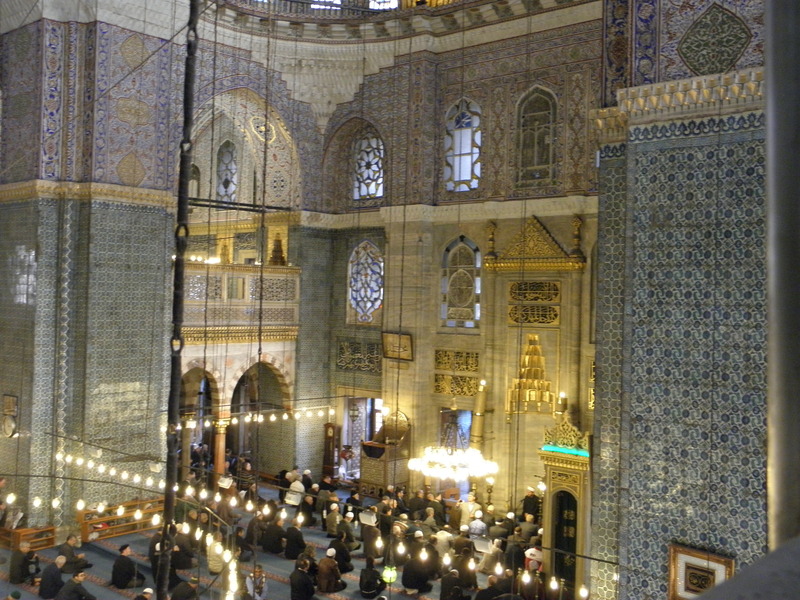 The Sultan Ahmet camii or Blue mosque. A poorly taken picture of the early dawn light coming in.